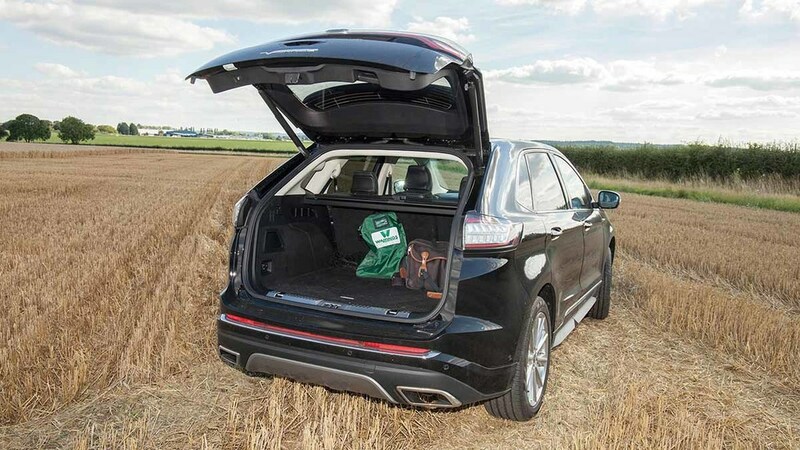 Manufactured in the firm’s American homeland, we try out Ford’s latest attempt to crack the SUV market here in the UK. Geoff Ashcroft reports. Despite its all-wheel drive credentials, the Vignale can struggle off road. 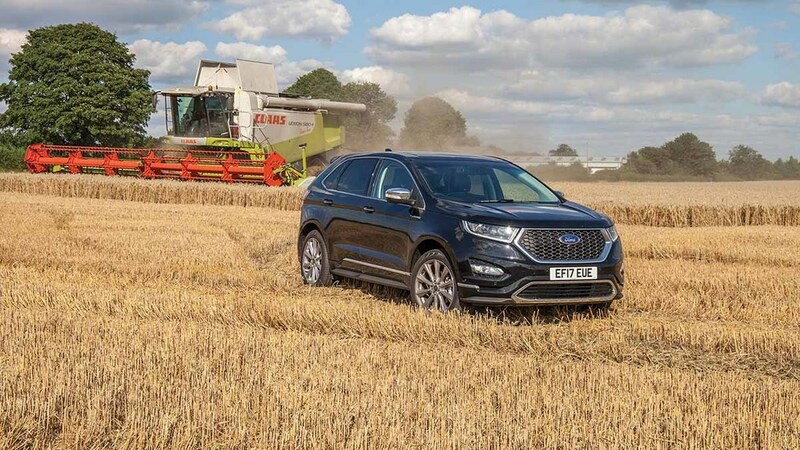 The last time Ford dipped a toe in the large four-wheel-drive SUV sector was with the Explorer, a US-derived, petrol powered brick on wheels which was imported to the UK. Now Ford is back big-time, tempting buyers to the blue oval with an SUV which is almost as big as a Range Rover Sport. However, it is only a five-seater which comes with two engine options and four trim levels. Interior is smart and buttons fall easily to hand. We tried the range-topping Vignale with contemporary styling and plush trim level, and the more powerful 210hp four pot diesel. At this power level you get a six-speed PowerShift dual-clutch auto box to accompany an intelligent four-wheel drive system. Despite the potential power, the car’s near two-tonne kerb weight does dampen spirits. While the ride feels solid and well planted to the road, the Edge does not quite have ‘the edge’ when you want it to deliver. It does feel like it is losing out to those makes fitted with ZF’s eight-speeder. It certainly needs more oomph and the relative lack of go means you will work the loud pedal harder and longer than you really need to. The upshot of all this was a 35.7mpg average over a week’s motoring. And this is a long way off the claimed 47.9mpg for the combined cycle. It is however, very smooth, well insulated and with low levels of road noise despite its 20in boots. Ah yes, those highly polished, almost chrome-like wheels bring a smattering of the good old US of A with the Edge. And there is plenty of external chrome too, which is a signature of the Vignale trim. Inside you will find elegance and opulence. You are greeted by swathes of quilted leather with highlighted stitching, soft-touch materials and a well-thought out interior with buttons and switches which fall easily to hand. A high seating position adds to the SUV feel, though it can make the car feel big. Wide pillars make it awkward to park in tight spots, but forward and rear-view cameras do help. This model also came with Ford’s active park option. Load space is generous, but rear seats do not slide forward. It oozes space. Even the tallest should not complain about legroom, headroom and elbow space. Though the optional panoramic sunroof does eat into headroom. Load space, while generous, is compromised by seat backs which do not fold fully flat. The seat bases are also fixed, so you cannot slide them forward to create more load space. Despite the AWD moniker, the Edge will not stray too far from solid ground. Its driveline is non-adjustable, though works cleverly behind the scenes to shuffle drive between axles, as required. One aspect is certain. 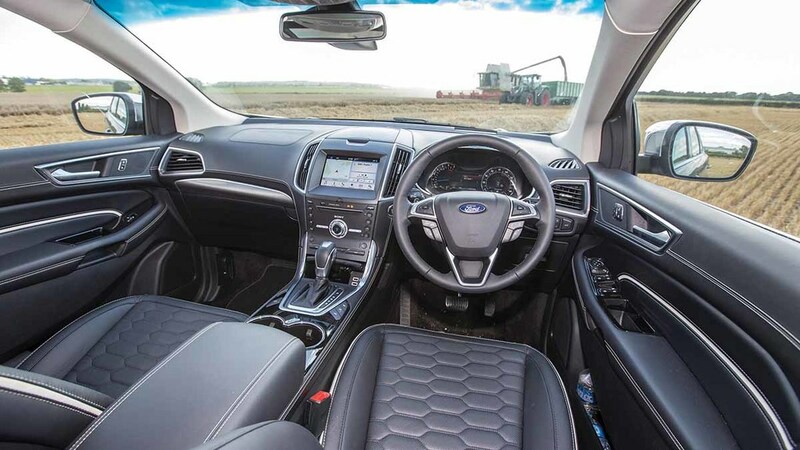 A Ford has never felt this good, this well-built or this close to being a premium brand. But is it enough luxury and capability to justify the cost?